Thousands of people in Newfoundland and Labrador have lost their status under the Indian Act as Ottawa sorts out who does and does not belong to the Qalipu First Nation. Dave Baldwin feels insulted by the suggestion that he doesn't practice his indigenous culture. "Anybody that knows me ... knows that I've been this way all my life," he says. 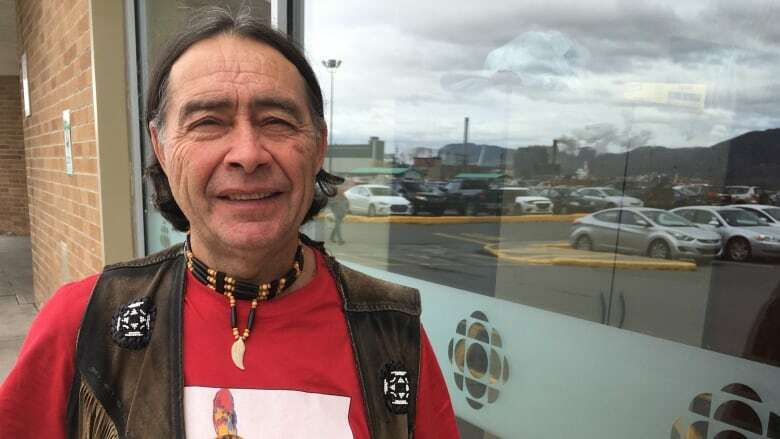 But that suggestion, he says, was the government's justification for denying him membership in the Qalipu Mi'kmaq First Nation in Newfoundland and Labrador earlier this year. The road to recognition was a long one for Mi'kmaq communities in Newfoundland and Labrador. When the province joined Canada in 1949, no indigenous people in it were granted status under the Indian Act. The federal government established the Qalipu Mi'kmaq First Nation in 2011, with nearly 24,000 people recognized as founding members of the band. But within a few years, more than 100,000 people (equal to about one fifth of the entire province's population) had come forward claiming to be members. That prompted the federal government to review all of the band's membership claims, even of those founding members. Thousands of people who had initially qualified for band membership, and the benefits that come along with having status under the Indian Act, went on to lose that membership. Dave Baldwin was among that group. Applicants were evaluated using a point system that asked about places of residence, family ties and cultural connections. It was in that last area that Dave lost critical points, leaving him one point short of the required total. He feels much closer to Mi'kmaq culture than people he knows who've received membership. "But that doesn't mean they're not [indigenous]," he says. "You don't have to go to a pow wow to be an Indian." He and others were allowed to appeal the decision, and when he spoke to Out in the Open, Dave was expecting a letter any day that would tell him whether he was in or out of the Qalipu band. Dave has seen the membership decisions divide communities, and even families. His own brothers and sisters qualified for status, even though he didn't. "A lot of people are upset," he says. "A lot of families, brothers and sisters, some of them are not talking to each other any more." He said that, if denied membership again, he intended to go see Justin Trudeau. "Not for me, for other people too. I'm 65. It's the younger people that just would like to have their recognition probably more than anything else." "I know who I am, and that's just the way I feel," he added. "Whether I've got a card in my pocket is not going to change who I am."